A world in crisis. Age-old enemies on the verge of attack. 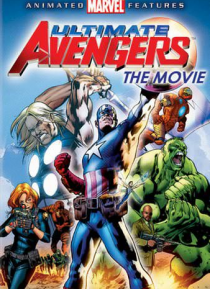 A mighty team is recruited, and Earth's ultimate hero is sought to lead them- Captain America. Unfortunately, he's been frozen in ice for over sixty years. Inspired by Marvel's best-selling books, "The Ultimates," this is the extraordinary story of six very independent heroes who, like it or not, must fight as one to save the world. Little… did they know that their biggest threat would emerge from within their very own ranks- The Incredible Hulk!